Notice: Undefined property: stdClass::$wrappers_to_close in zcomments_comment_view_alter() (line 214 of /mnt/vdb/www/smattes.com/sites/all/modules/zmodules/zcomments/zcomments.module). FIG 1. The side view of the Sensorama as it is being depicted in the layout of M. L. Heilig patent from the United States Patent Office in 1962. The present invention, generally, relates to simulator apparatus and, more particularly, to apparatus to stimulate the senses of an individual to simulate an actual experience realistically. The Sensorama was a machine that is one of the earliest known examples of immersive, multi-sensory (now known as multimodal) technology. Morton Heilig, who today would be thought of as a “multimedia” specialist, in the 1950s saw theater as an activity that could encompass all the senses in an effective manner, thus drawing the viewer into the onscreen activity. He dubbed it “Experience Theater”, and detailed his vision of multi-sensory theater in his 1955 paper entitled “The Cinema of the Future” (Robinett 1994). 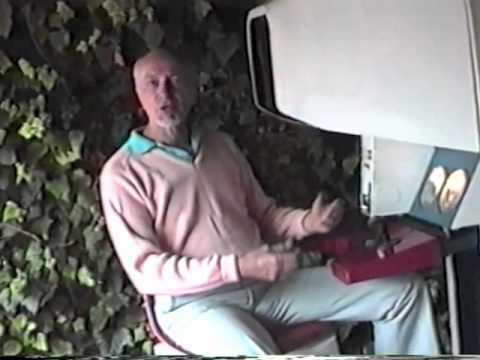 In 1962 he built a prototype of his vision, dubbed the Sensorama, along with five short films to be displayed in it. Predating digital computing, the Sensorama was a mechanical device, which still functions today. One of the inventions I came across recently and raised my interest, while I was reading a book about Virtual reality, was the so called "Sensorama". The Sensorama was a simulutor appartatus invented in 1957 and patented five years later in 1962 by Morton Heilig (fig. 1) . It is one of the erliest known examples of multimodal technology, i.e. a technology that was able to provide the ilusion of reality using different human senses. Parts of the Sensorama are two other inventions, the Sensorama Motion Picture Projector and the Sensorama 3-D Motion Picture Camera. The Sensorama offered a multisensory environment in which participants, one to four people, could experience sensations of sight, hearing, smell and touch . The Sensorama was able to display stereoscopic 3-D images in a wide-angle view, provide body tilting, supply stereo sound, and also had tracks for wind and aromas to be triggered during the film. The viewer remained tilted about a viewer in the manner of a pair of binoculars, below which a grid was located and used to remove odors pump. Other side screens were in charge of issuing odorless breezes at appropriate times, to enhance the sense of physical movement outdoors. One of the experiences that Sensorama could provide was the riding of a motorcycle on the roads of Brooklyn. The wind that viewers could feel on their faces was produced by fan. Although the Sensorama was not in a refined stage, it was really so innovative at its time that could provide an incredible experience to its viewers (fig. 2). In fact, the vision of Heilig was exactly that, i.e. to give to his users the sensation of a mulit-sensory theater, that could be used both in entertaining industry and for educational purposes as well. Although Heilig didn't manage to convince investors and influence enough his audience for his innovative visions in order to fund and improve his invention, the Sensorama is considred till today a noteworthy device in the history of Virtual Reality.